No Flash, no problem. VoiceZam decides what's best by seamlessly switching between HTML5 and Flash for any smart phone or mobile application. Whether you need your player to function on a standard desktop or an iPhone, iPad, Android (or all), VoiceZam is the only solution. Have Videos? We’ve Got You Covered. 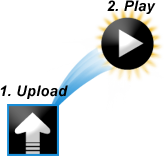 Why send viewers to separate audio & video players? The VoiceZam player handles all your media. Use your YouTube or Vimeo share links and voila! VoiceZam plays your videos flawlessly. Mix or match—video or audio. VideoZam gets your videos into the eyes and ears of producers faster than any other product. They love to see videos in a Demo—so show them your full repertoire! See how easy it is to quickly upload and play your videos. VoiceZam unifies all your Demo work under one player. Skin It. Embed It. Send It... Anywhere. Integrate the VoiceZam player with only three lines of code—a simple solution that doesn't require the help of a web guru. Zamplify your web presence with the best Demo player in the industry! 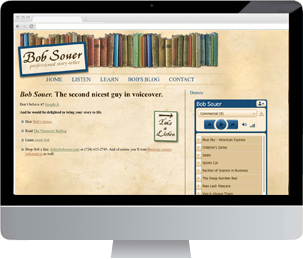 You have your own style as a voiceover artist—shouldn't your Demo player reflect that? Make your player stand out not only with outstanding playback quality, but also with eye-catching skins, styles and colors. Choose from our Blue Smoke, iMetal or the DIY design and roll your own! It should be quick and easy for producers to reach you or your agents. 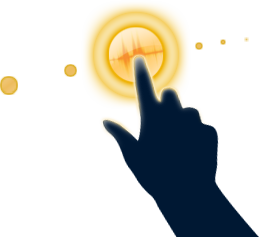 With one click, VoiceZam displays all of your representation and contact info. Stay organized with a simple Demo platform, and target your Demos your way. Get out there. Interact. Be social. It's all possible with VoiceZam! Take advantage of Facebook, Twitter, LinkedIn and more—all are compatible with our system. Give producers what they want—access to the spots that showcase your talents in the areas they need. With VoiceZam's patented playback, all of your spots are front and center via our innovative player. Keep your Demos from getting buried, and put your best foot forward. All your Demos are special, so how do you choose which to showcase? With VoiceZam, you no longer have to make that decision. The only player that cross-sells all of your Demos, you give producers and agents the power to pick the type of spot they want to hear from you. Need to update a track in your Demo? VoiceZam makes it easy! Simply upload the track, drag it where you want it to play and it appears online immediately, all within minutes. Don’t pay a webmaster to update the Demos on your website. Do it yourself quickly and easily, with VoiceZam. There's nothing like a little added security, and VoiceZam understands. Our Cloud-based system is there for you. Your Demos are stored on the Cloud, and will always be there when you need them. Now doesn't that give you peace of mind? 192 kbps, full CD-quality playback to ensure each track sounds the best to producers and agents. Making you sound best to those that want to hire you. Adding a few lines of code to your website is all you need. 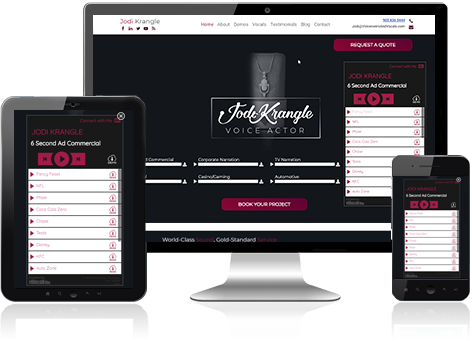 Then update your Demos in VoiceZam and your website is updated too. All automatically and no more waiiting for the web-guru! Your Demos may be perfect, but is anyone listening? Wonder no more. With the Zamtistics™ add-on, you'll know the exact times your tracks are played, and by whom. Monitor track playback analytics and improve your Demos, replacing lower booking tracks with tracks that get you the job. When it comes to producing a Demo, you know that higher-quality gear can make your voice sound better. But have you also thought about the quality of the Demo’s player? We have. We know that the tool used to play your Demo is just as important as those used to create it. With VoiceZam, you get the best of the best. It’s the Demo player of choice for voiceover professionals around the world-and the only one designed exclusively for voiceover Demo playback.